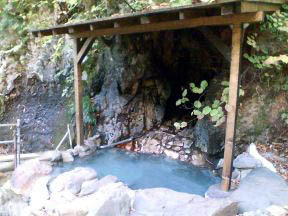 An open bath is located with hot water Uchikawa in the ravine of an Asahi onsen and this upper stream. The open bath which gushes automatically from the base rock of a bathtub bottom. 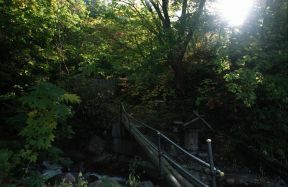 The log bridge to the Mt. 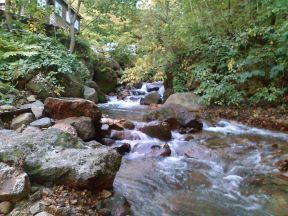 Raiden trailhead and an open bath. 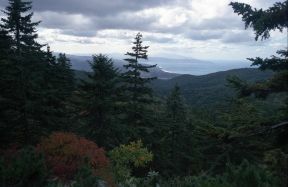 The Sea of Japan of the unparalleled view which will spread if it goes up from an Asahi onsen to the tengu rock for about about 40 minutes, and whitecap. 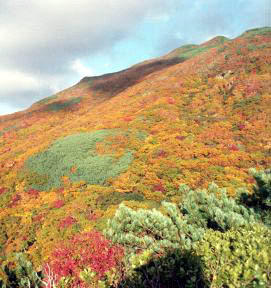 The red leaves at the foot of thunder and lightning where riding of a color is brilliant.